A rolling, stackable roto-molded shock rack with TSA latches and a low-profile pull handle. The SKB 3SKB-R04U20W Rolling Roto Shock Rack incorporates SKB's recessed patent-pending TSA trigger latches and low-profile injection molded pull handle. 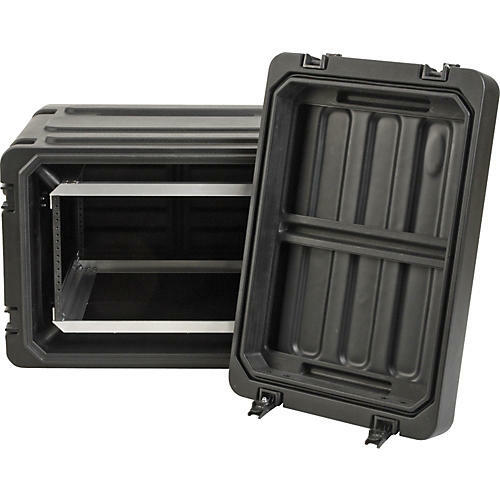 The roto-molded design provides extra stiffness in the lids and sides while also allowing the racks to stack securely together. The hardshell rack case also has built-in wheels and is shock- and water-resistant.